In this new handbook, top researchers from around the world discuss recent academic and industrial advances in designing ceramic coatings and materials. 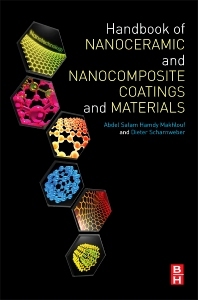 They describe the role of nanotechnology in designing high performance nanoceramic coatings and materials in terms of the unique advantages that can be gained from the nano scale, including the latest techniques for the synthesis and processing of ceramic and composite coatings for different applications. Engineers, chemists, research scientists and grad students working in coatings and surface engineering-related industries ranging from transportation to the biomedical device industry. 1 Introduction: How to Produce Nanostructured Thermally Sprayed Coatings? 4 How These Nanoceramics/Nanocomposites Interact with Biological Cells?